Ultra-High Frequency RFID, Enhanced GPS, Integrated 1D/2D Barcode Imaging, Smartphone connectivity: all now available worldwide. 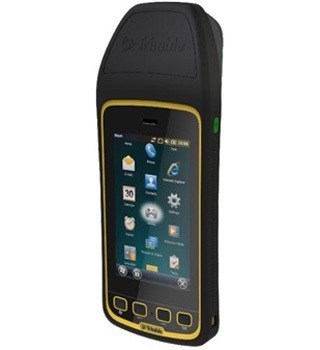 The Juno T41 offers combined feature options to provide customers the handheld that meets their specific needs in the field: Enhanced GPS, 1D/2D barcode imaging, Smartphone capability or not, choice of Windows or Android operating systems, rugged dust and water ingress protection ratings of IP65 or IP68 and now: Ultra-High Frequency RFID, all with the standard data collection functionality built into the Juno T41. The Juno T41 R will automatically recognize tags across a variety of frequencies and work with any size or style of RFID tag that is designed for customized solutions. UHF RFID is an increasingly commonplace technology using the 860 to 960 MHz frequency range. All Juno T41 handheld computer units contain a 1 GHz processor, 512 MB RAM and 8GB-32GB of storage with either Android 4.1 or Microsoft WEHH 6.5 operating systems. Other standard features include an 8 MP integrated camera, standard 2-4 meter GPS capability, multi-touch capacitive 4.3" sunlight-readable display and all-day battery life. The "X" configuration is designed to replace Bring Your Own Device (BYOD) smartphones with SMS text and 3.75 cellular voice data transfer capabilities on GSM networks worldwide. Using the latest EPCglobal Gen 2 RFID technology, the device uses two different antenna ranges to read or recognize the unique identification of an asset anywhere in the world. FCC Certified (North America): 902-928 MHz bands . ETSI Certified (EU): 865.6-867.6 MHz bands . ACMA Certified (AU/NZ): 920-926 MHz bands. Rapid-Read, high-accuracy performance on multiple tags with multiple orientations, even in crowded conditions. Software Development Kit to customize all settings including read-range, power-consumption and other features.